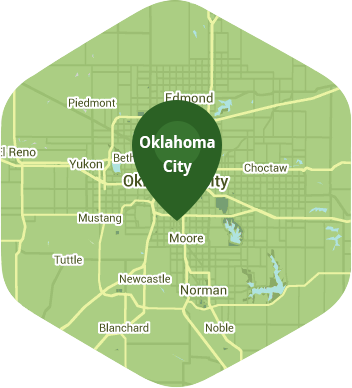 Book a skilled lawn pro in Nichols Hills. Backed by a total satisfaction guarantee and amazing customer support. The small community of Nichols Hills is known for its love of all things green. Our citizens have made it a priority to maintain parks and keep the quality of their housing superior to anywhere else in the state of Oklahoma. Lawn Love understands where you're coming from, because as a part of the Nichols Hill community we love to keep outdoor spaces inviting, lush and pristine. If you're looking for a lawn care company that can help you to keep your lawn lush and beautiful, then you need to call Lawn Love. Lawn Love is a full-service lawn care company that is fully insured and bonded. Our experienced and friendly lawn care technicians want to work with you're to keep your lawn healthy, manicured and beautiful. We offer mowing, seeding, weeding, gardening and aerating services as well as clean up. We pride ourselves on our outstanding customer service and commitment to quality. Rated 4.78 / 5 stars in 3,685 Nichols Hills customer reviews. There won't be any rain in Nichols Hills today, which means you'll probably have to water your lawn. Dusk and dawn are the best times to water your lawn (the sun will rise at 6:55 AM and set at 8:04 PM today in Nichols Hills). Here are some average lawn care prices for homes in Nichols Hills. Average lawn size 5,053 sq. ft.